If you are a fan and lover of cutting-edge modern dance, you will be mesmerized by this foreign documentary film( in English) of the story of Israeli choreographer and dancer, Odar Naharin. 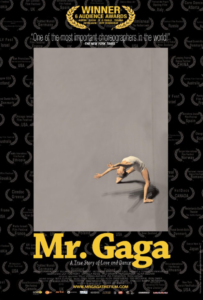 His passion and dedication to dance, and his travels from Israel to New York and back to Israel, as well as the development of the special “Gaga” movement that he originated is a fascinating story. 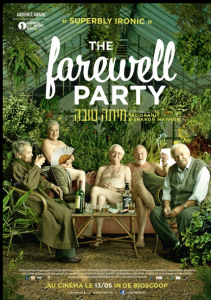 In a post-screening discussion, Director Tomer Heymann, who produced the film with his brother, Barak Heymann and Diana Holtzman, shared the several year adventure that he took to make this movie. He told how he tracked down childhood footage of Naharin, along with interviews of some of the icons in modern dance. A reflection of the uniqueness and originality of Naharin is not only demonstrated in the design and movement of his work, but also in the journey that he has taken during his 64 years. His interest in movement dates back to his youth and also his time in the Israeli army during the Yom Kippur War (a leg injury prevented him from directly being in combat). Naharin came to New York and studied simultaneously at the Julliard and the American Ballet Theater (an unheard of accomplishment). He was then accepted by Martha Graham into the most prestigious modern dance company in the world. Actual video footage of Graham talking about this young protégé is shown. Despite this tremendous opportunity and the recognition of his skills, he did not feel comfortable continuing to study in the United States and decided he wanted to form his own ballet company in Israel. By that time, he had met his wife-to-be, a beautiful Asian dancer, Mari Kajiwara, with whom he fell in love at first sight and arranged a meeting with her. She was the first non-black dancer accepted into the Alvin Ailey Dance Company. They came to Israel to direct the Batsheva Dance Company. There are many more trials and tribulations, happy moments and great sadness, some of which are shared with us in this film. At the time of Israel’s 50th anniversary, when his dance company was to be one of the featured cultural events, there erupted a controversy about the various simple costumes of Israeli army undergarments that his dancers were to wear. 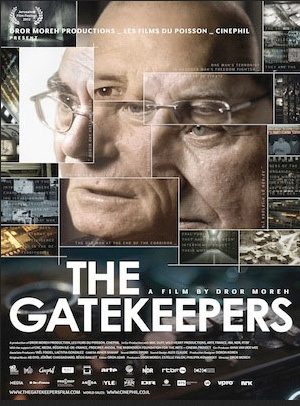 The appeal of this documentary film is that it introduced the viewer to a phenomenon that many of us did not fully appreciate is happening on the Internet. Samantha Montgomery is a black woman probably in her late 20’s or early 30’s who works as an aide in a nursing home in New Orleans. 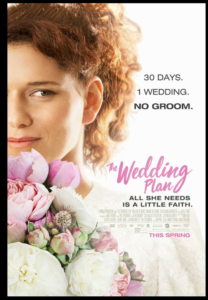 We learned later in the film that she had an unhappy childhood and that she was sexually abused by her mother’s boyfriend despite her protests to her mother. As she got older, she had few emotional supports and became one of many people who reported her daily life activities on the internet. She also likes to make up songs and sing her latest creations acapella. She had aspirations to become recognized as a singer and would sing at open microphone nights in local clubs, frequently with just a few patrons in the audience. One time she went to an audition with hundreds of other aspiring singers to try out for the famous TV show “The Voice” but never made it to the stage to be seen by the judges. Film director Ido Haar and film producer Liran Atzmor had the idea to do a documentary film about the phenomena of people singing their own songs on the internet. They contacted Ms. Montgomery who used the stage name on the internet as Princess Shaw, as one of many who might be the subject of their film. 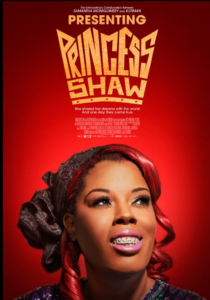 However, the film producers apparently learned something very interesting that Princess Shaw did not know and made the documentary duo decide to focus only on her. Unbeknownst to Princess Shaw an Israeli music producer by the name of Ophir Kutiel who is known as Kutiman was downloading her singing on Youtube and was inviting Youtube musicians around the world to arrange various musical accompaniments to the singing that Princess Shaw was putting out on her Youtube channel. Through skillful editing, Kutiman used the talents of several musicians who never knew each other or sat in the same room to put together a terrific arrangement of Princess Shaw singing a haunting song titled Give It Up. The documentary filmmaker, who was following her around with one hand held camera was able to capture the tearful surprise and emotion when she first heard the professional arrangement with the various musicians from around the world. Soon this song had over one million hits on the internet. Princess Shaw was then invited to come to Israel to meet Kutiman and appear in a concert in a very large venue. She now has a record contract and travels around the United States promoting this documentary film where we met her in a screening of this movie which opens in Los Angeles and other major cities at the end of May. So there you have it, a unique story of our modern times. The documentary film is an amalgam of Youtube clips and handheld videos as the main subject was attentively followed around in her various activities. 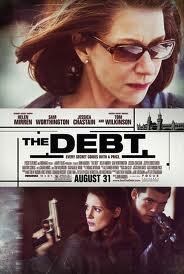 It was an interesting idea for a documentary film and we are glad that we saw it. For a sample of Kutiman’s production of Princess Shaw singing Give it Up on YouTube with musicians from around the world that now has over 2 ½ million hits, click here (2016). It is a fitting coincidence that just a few weeks ago, Governor Brown signed into law, California’s Right to Die law which makes it the 5th state to have such legislation. This law will give terminally ill patients in California the option to end their lives by swallowing a lethal dose of physician prescribed drugs after certain conditions are met. 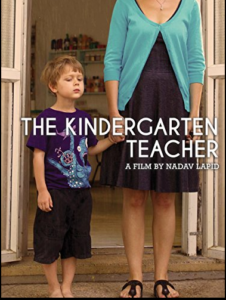 This very well done Israeli film, with English subtitles, directed and written by the duo of Sharon Maymon and Tal Granit addresses this very issue. It is a sensitive but yet comedic plot which mostly takes place in a luxurious assisted living facility in Jerusalem. Yehezkel (Ze’ev Revach) and his wife, Levana (Levana Finkelstein) have good friends, Yana (Aliza Rosen) and Max (Samuel Wolfe). Max is painfully dying and wants to end his life. The doctors want to continue treating him despite his suffering and the inability to relieve his pain. His wife, wants something to be done to end his suffering and asks their friends to help. They meet another resident of the assisted living facility, Dr. Daniel (Ilan Dar) who has experience ending lives with fatal doses of drugs. He is a veterinarian who has obviously put down many animals. and he agrees to help them. Yehezkel is an inventor of sorts and designs a machine in which the patient can push a button and have the deadly drugs injected for a painless death which they do for Max. Word spreads around the assisted living facility and this team does the deed another time. Levana does not favor what her husband and the others are doing. However, she begins to reconsider when she realizes that she has a progressive dementia. So this well-written sensitive story with some wonderful comic touches puts this important subject under the microscope. The acting by these veteran actors is magnificent. The cinematography is very well done. 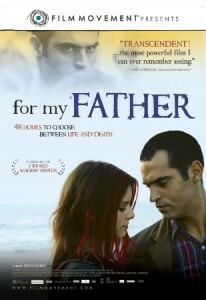 The film received 14 nominations for the Israeli Oscar and won for best director with Revach winning for best actor. It is not easy to walk the line between drama and comedy on a subject such as death and assisted suicide but this film negotiates it quite well.